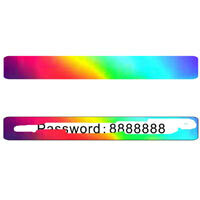 Scratch holograms are widely used today by industries for promotional and security purposes. 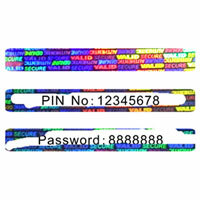 Scratch hologram are used today instead of the usual gray latex scratch-off panels on discount coupons, telephone top-up cards etc. In other words, holograms are used to hide sensitive data like codes, numbers etc. by adding a coat of holographic material on the surface. By incorporating holograms onto the scratch surface, the cards are made more secure. Also known as scratchograms, these holograms with scratch coating make use of the latest techniques and technologies, thus making it impossible for counterfeiters to create fake products or forge documents. These holograms add more value to your promotions and security. The design of scratch hologram is available as standard or a special custom hologram unique to customer.